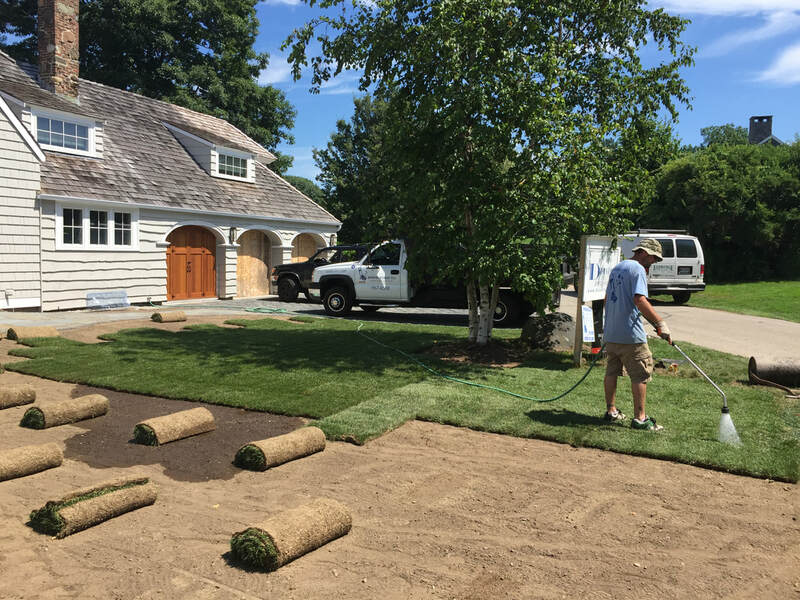 Whether you want to switch your lawn from seed to sod or have new grass installed after a construction project, our certified landscapers will give you the thriving lawn you’re looking for year-round. 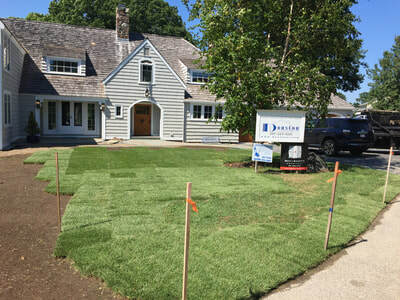 The most important part of any lawn installation, either a new lawn, or re-grading and installing a new lawn, is the soil. 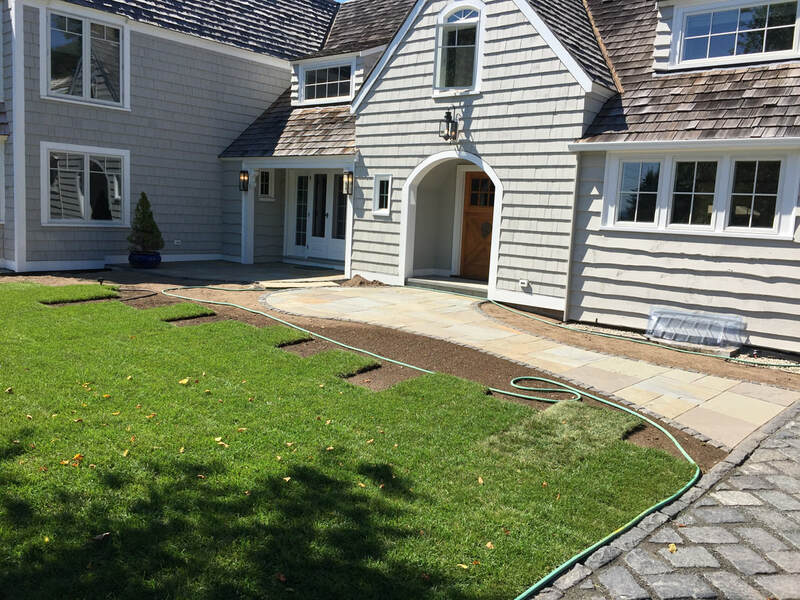 For a successful lawn installation you want a minimum of 4" of organic topsoil. 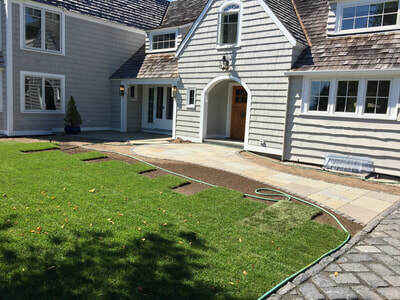 The organic matter in the topsoil provides nutrients for the grass to grow and thrive and helps the soil retain more water (more drought tolerant). Once the area has been properly graded with good topsoil you have the choice of seeing or installing sod. Sod is mostly Kentucky bluegrass, so it does great in sunny areas. 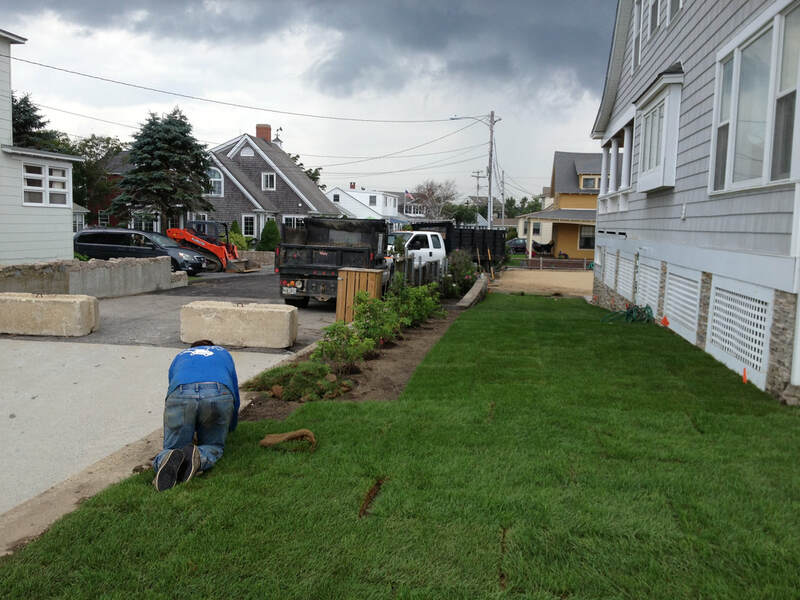 Will not look as dense or lush as sod for at least a year if not two. Whether your house is new construction, or an existing property with drainage issues, proper surface grading, in conjunction with subsurface drainage can help mitigate, and in some cases solve those basement water issues. It is important that all of the surfaces around your house are properly graded. 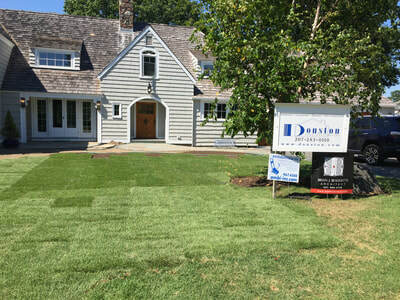 The Patriots field at Gillette stadium may look flat, but it is not. 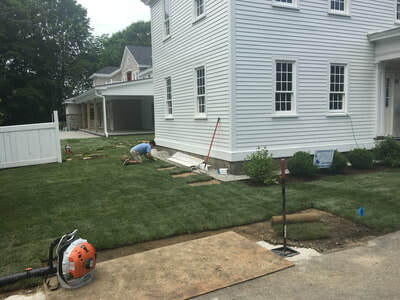 It is pitched (graded) towards the sidelines to keep water from building up on the field, a gravel road or driveway is pitched to the sides in the same way to keep water from pooling and potholes from forming. 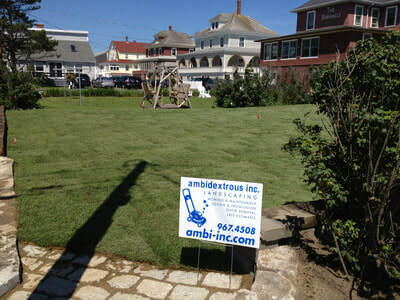 The same goes for the lawn around your house, you want it pitched away so water doesn't run into your basement. Your driveway, walkways, patios, should all slope away from your house as well. 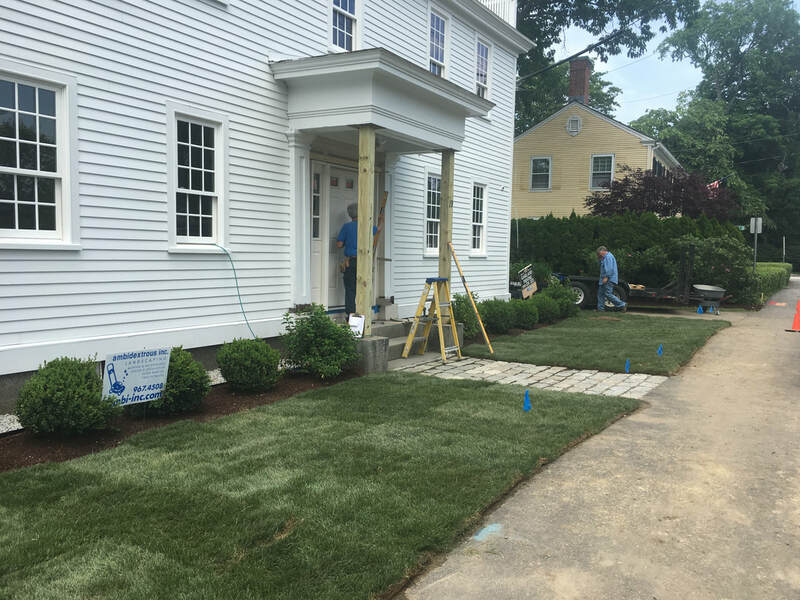 Proper grading of all the surfaces around your house is important even if you can't see it.